On the one hand: oh dear, another Beavertown special. If only I still used ratebeer I could look it up and see what it is. Nice graphics tho. And on the other: 65 IBUs? Yep, I'll take one ta! And hey, it's Beavertown - gotta be good, right? So. It's not particularly fruity. Perhaps some yellow citrus notes. Not too tart. There's a fresh white wood thing. A peeled stick maybe? Or is that just me channelling the cool label? There is a smell I can only describe as bitter. Clearly, this ain't a smell according to the current model of human olfaction, so I must be smelling some hard to verbalise aroma which I generally associated with bittering hops. Pouring out the last of the can I'm sooking (or "huffing", if you like) the very final dregs trapped behind the lip of the opening. As always, this creates a fine aerosol or mist of what is—at least in this sort of beer—the very essence of the bitterness. If you haven't done this before you really should (but go and get a properly hoppy can to do it with). It highlights a particular aspect of the beer in a way you don't otherwise experience. As when rubbing heavily peated malt whisky onto your hands to find the cereal behind the peat, or misting your tongue with brandy from an atomiser spray, it's good to explore flavour from odd angles occasionally. In the particular case of Sapling, the huff reveals a powerfully bitter dry earthy sandiness behind which there is sweet yellow fruit juice, although not orange. Perhaps it's one of those odd mixtures of banana, apple, and a token gesture's worth of pineapple. I think I mean 'smoothie'. I'm still not getting very close to what the bitter-associated smell is. Let's just leave it at "bitter" and ask the smell scientists to revamp their model to fit. The taste is satisfyingly dry. There is a juiciness and a persistent bitter hoppiness which dries things out nicely. A lemonade note. Metallic hops. Ripe yellow fruit - perhaps tropical. This is a very, very fine beer, and especially in its 65 IBUs - the best kind of bitter. I have but two complaints. The first is that 330ml is not quite enough, even at a strength of 7.1%. 500ml would perhaps be excessive, but 440 is a pleasant number. The second is that the ABV is entirely deceptive. Only in the thick texture is there any indication that the alcohol is higher than normal. 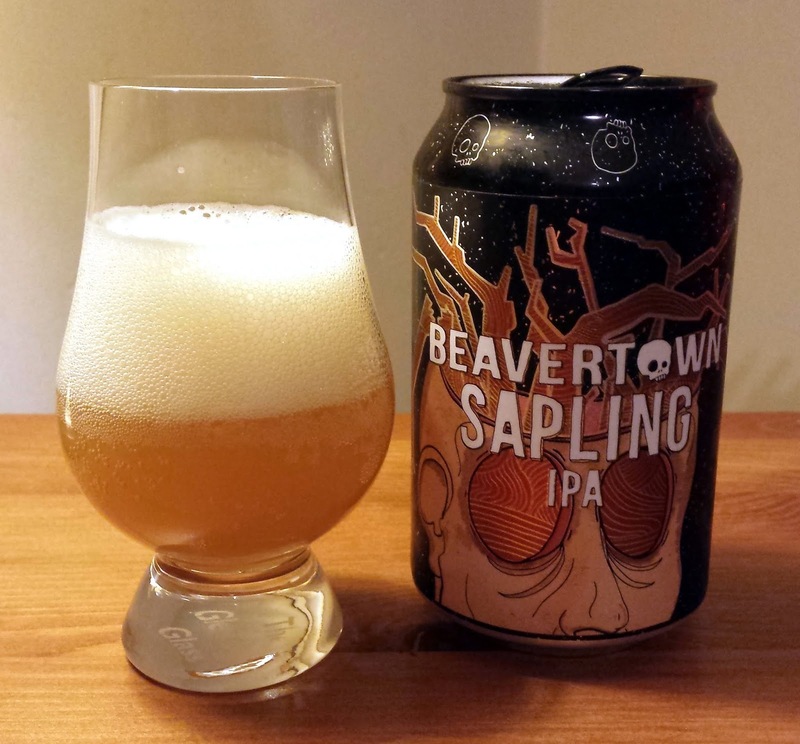 In conclusion, well done to Beavertown, good work. And, by way of a post script, it occurred to me some time after I'd written my notes on this beer that maybe the name is quite apt, since it reminds me of peeled green sticks. Or perhaps not.